March 29, 2016 - As part of its ongoing efforts to develop an acceptable unleaded fuel for small airplanes, the U.S. Department of Transportations Federal Aviation Administration (FAA) announced that it has selected two unleaded fuels for further testing. This will move the general aviation (GA) community a step closer to having new fuels that eliminate their reliance on leaded fuel. Small aircraft are the only mode of transportation that still relies on leaded fuel. The FAA is committed to finding safe fuels that benefit the environment and our general aviation community from this transportation source, said Transportation Secretary Anthony Foxx. Fuel formulations from Shell and Swift Fuels were selected for Phase 2 engine and aircraft testing. Test data will help the companies obtain an ASTM International Production Specification for their fuels and allow the FAA to authorize the existing GA fleet to use the unleaded replacement fuels. The testing will begin this summer and conclude in 2018. Government and industry are successfully working together to lower aviation emissions. Were on track to have unleaded aviation gasoline fully evaluated and ready to be authorized for use by the general aviation fleet in 2018, said FAA Administrator Michael Huerta. As part of PAFI, in June 2013 the FAA requested that fuel producers submit their replacement fuel proposals to the FAA for evaluation. By July 2014, the agency received 17 formulations from six companies and assessed candidate fuels in terms of their impact on the existing fleet, the production and distribution infrastructure, the impact on the environment, toxicology, and the cost of aircraft operations. 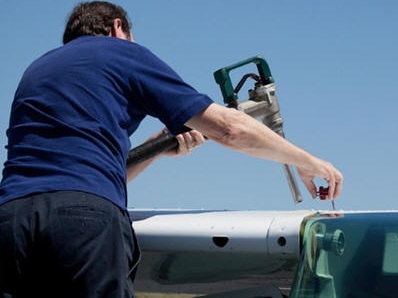 In September 2014, the FAA accepted four fuel formulations into the PAFI Phase 1 test program. Approximately 167,000 GA aircraft in the U.S. currently rely on 100 octane low-lead aviation gasoline for safe operation. The small quantity of lead in the fuel creates the high octane levels needed for high-performance aircraft. Most commercial airplanes do not use leaded gas. Visit the FAAs aviation gasoline website to learn more. Phase 1 testing of the four candidate fuels concluded in December 2015. It included basic fit-for-purpose and chemical property laboratory evaluations, six rig tests, materials compatibility testing, engine testing, and a literature study which evaluated the chemical components of the fuels to obtain information on their toxicity and environmental impact. The companies then used the Phase 1 data to update the feasibility assessments that they submitted with their original proposals to assess the impact of their fuel on the current GA fleet of engines and aircraft, including the number and extent of aircraft modifications. They also examined production and distribution costs and environmental factors. The FAA reviewed the Phase 1 PAFI data and the updated feasibility assessments, and then selected the two fuels which would have the least impact on the GA fleet and on the fuel production and distribution infrastructure.